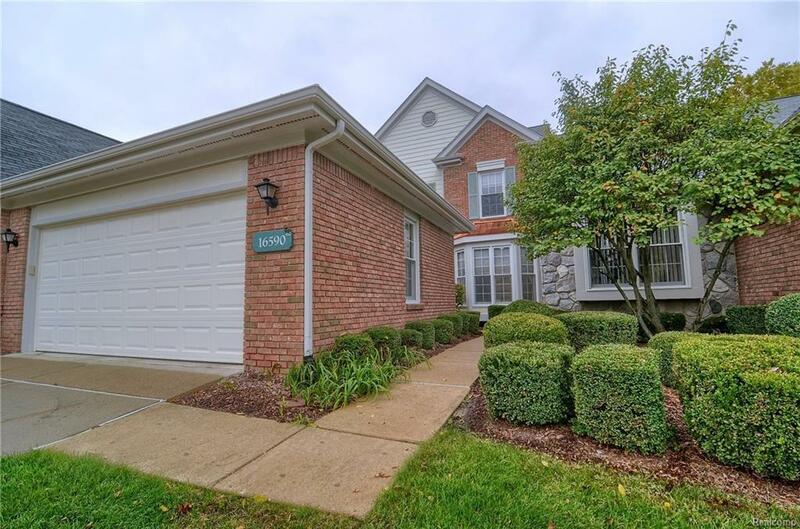 Fantastic opportunity to purchase a three bedroom condo in popular Country Club Village in Northville School District! Spacious great room with fireplace, formal dining room with doorwall to deck, den/office, kitchen with island, entry level laundry. Very large master suite with balcony, two additional bedrooms. Lower level is partially finished. All new carpet and pad in October, furnace in 2013, water heater 2014, oven 2016, garage door and key pad 2016. Convenient to shopping, dining, freeway access. Country Club Village offers pool, clubhouse, tennis, tot lot. Golf and restaurant on site, privately owned, open to the public. Home needs serious and considerable renovation amd updating and is being sold 'as is', price reflects condition. IDX provided courtesy of Realcomp II Ltd., via Berkshire Hathaway Hs Hwwb, Realtors-Northville and Realcomp, ©2019 Realcomp II Ltd. Shareholders.